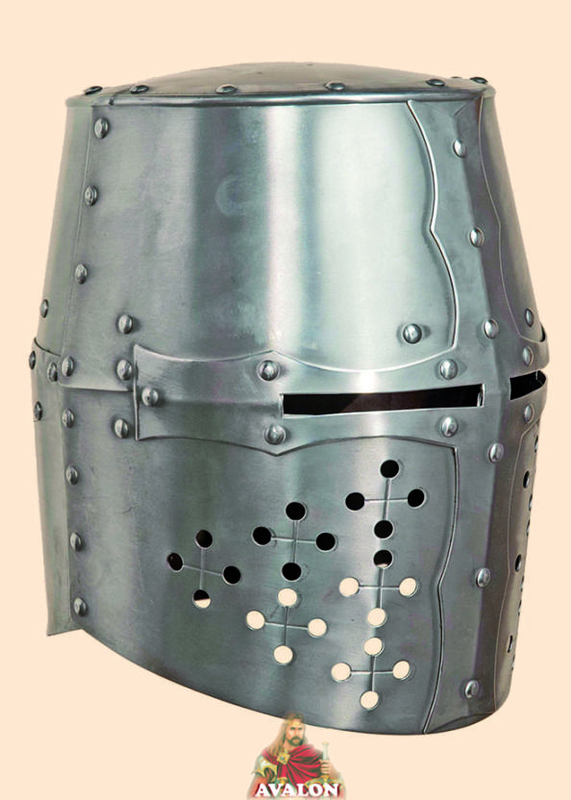 What thickness of Gambeson / Aketon were you looking at? I'm not going for accuracy at the moment, just a Ran-Fest costume, so I'd make it out of the cheapest rough fabric I can buy. And I don't need the real thing, just something to get the look across. Cotton Lawn should be a good alternative for Linen, depending on what you are looking for. Sailcloth is another good alternative for linen. I'll admit, those are some really nice looking helmets for the average solider. 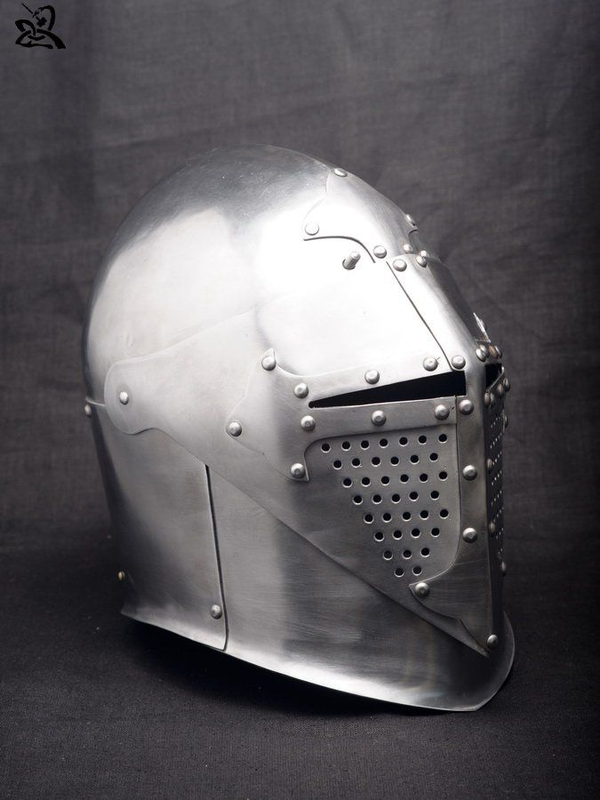 Armets are the category where my personal favorite medieval helms fall. 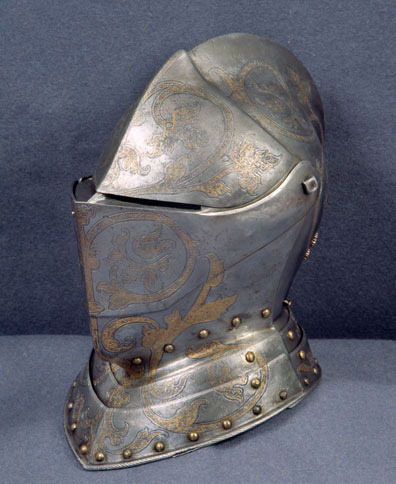 Armets are a cool helm, I've always loved their small eye slits and general geometry. 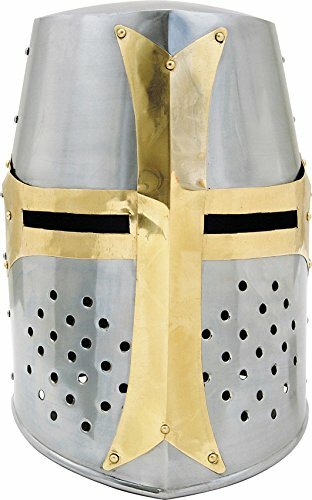 If you are to claim the holy land, get a better sugar loaf helm. 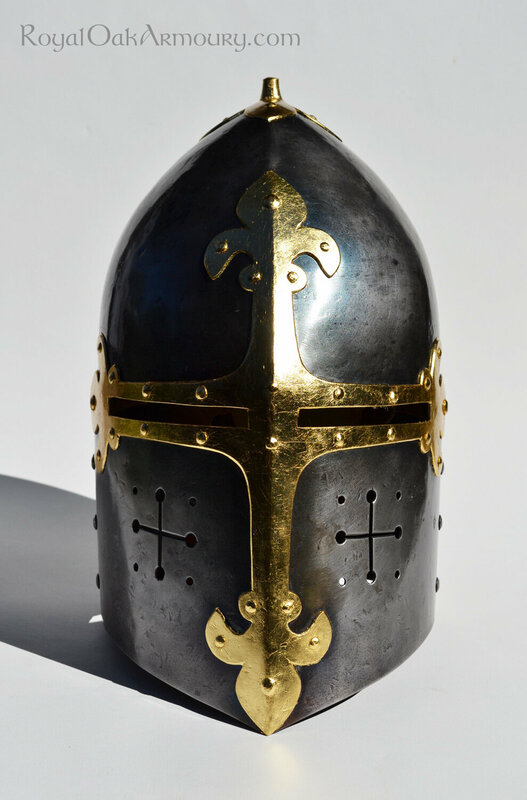 You wouldn’t want some infidel bashing you over the head with a flat topped helmet like that. @Ace Sugarloaf helms have grown on me over the past few years and are currently my second favorite classification/category. Frogmouth helmets are very strange and alien in proportion but with the sharp contours somehow result in something aesthetically pleasing. 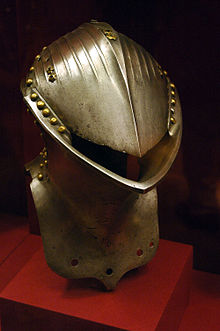 Not very practical outside of jousting but very cool nonetheless, at least IMO. @Jcton Uh, there was no Flat Sugarloaf, that was simply called a Greathelm. 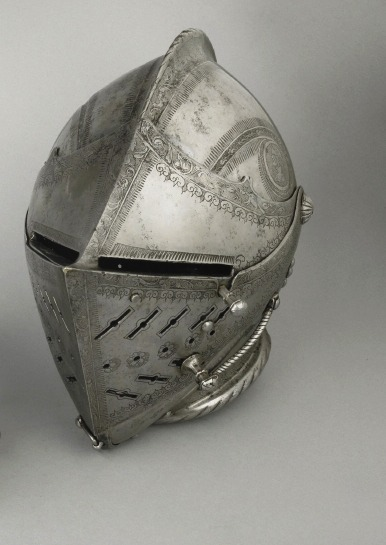 I am a simple man and prefer a good basket helmet paired with a gambeson (spelling?) and some chain mail. 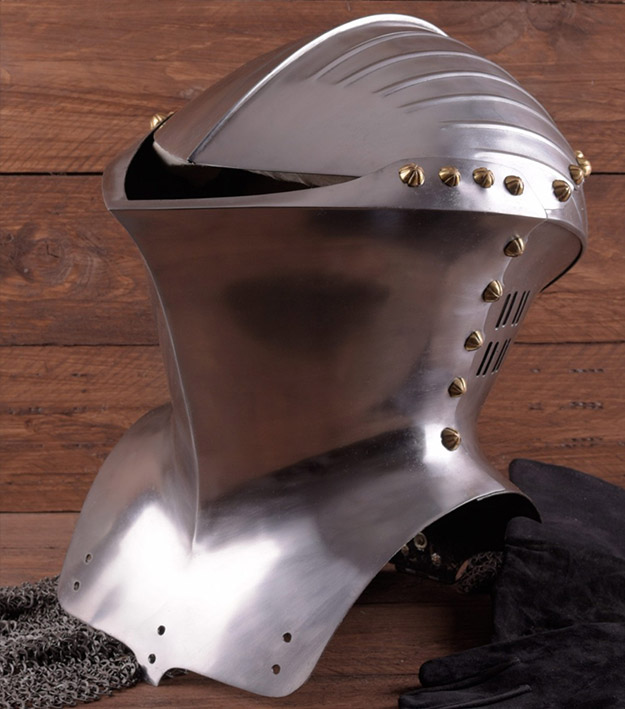 For the cheaper knight in the family. 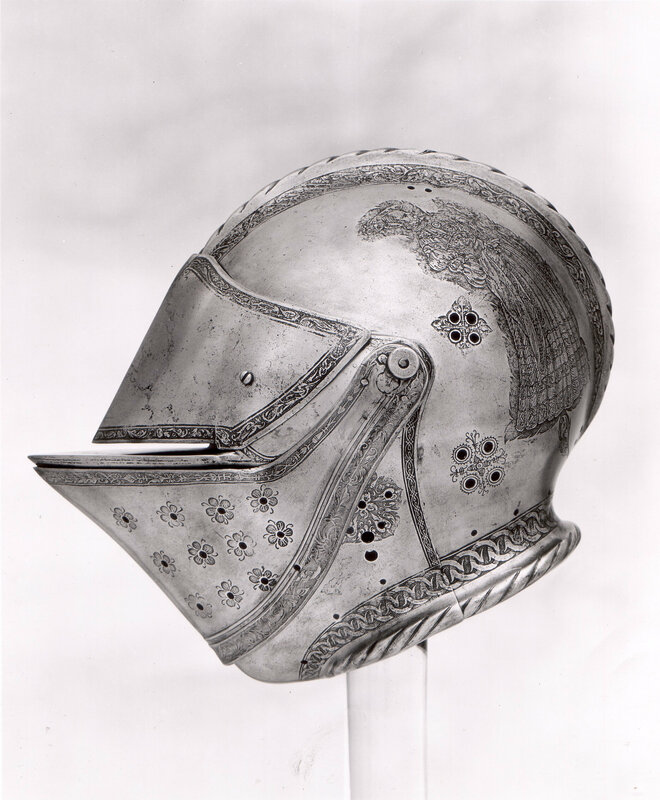 You spelled it correctly, though you can always use Aketon instead of Gambeson. It's easier to spell. I like the stuff that's made out of metal.